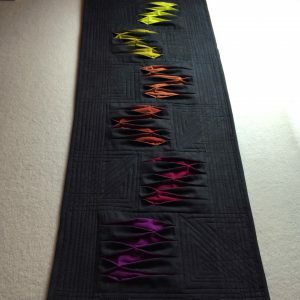 Pleats to Meet You Table Runner – Cheryl Sleboda – Textiles. Technology. Texture. Teacher. 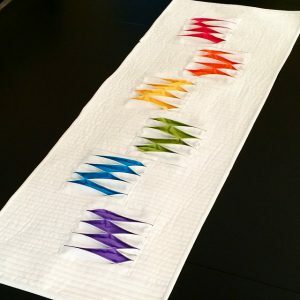 Learn an interesting twist on your standard quilt block with this show stopping pleating technique! In this FULL DAY class, you’ll have a ton of fun sewing these EASY pleats by machine, and you’ll leave with a completed tablerunner top. $10 kit fee per student includes the pattern for the table runner.